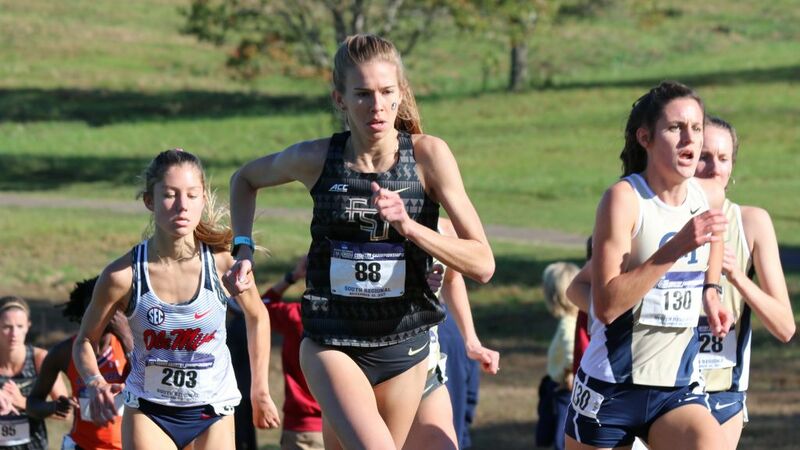 TUSCALOOSA, Ala. – Unfazed by the moment, Florida State freshman Jodie Judd set the tone for Friday’s NCAA South Region Cross Country Championships, charging to the front from the gun at the Harry Pritchett Running Park. Seminole women to a fourth-place finish. 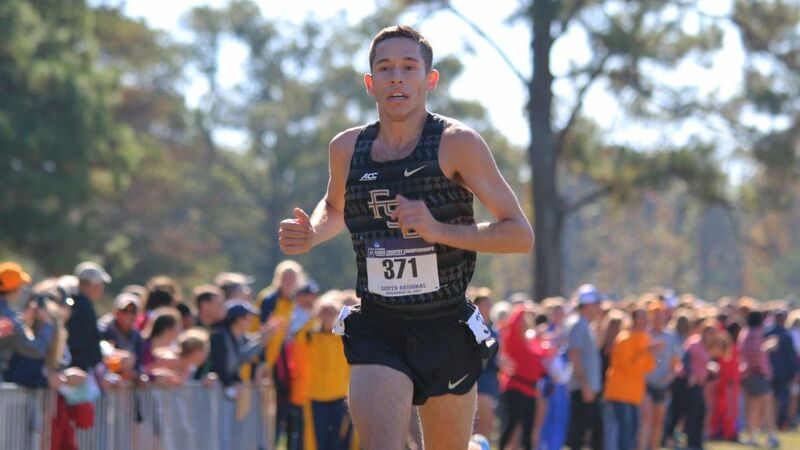 Forty minutes later, senior Michael Hall followed the same course of action, racing up to the front at the start en route to a career-best 11th-place finish as the men finished fourth. 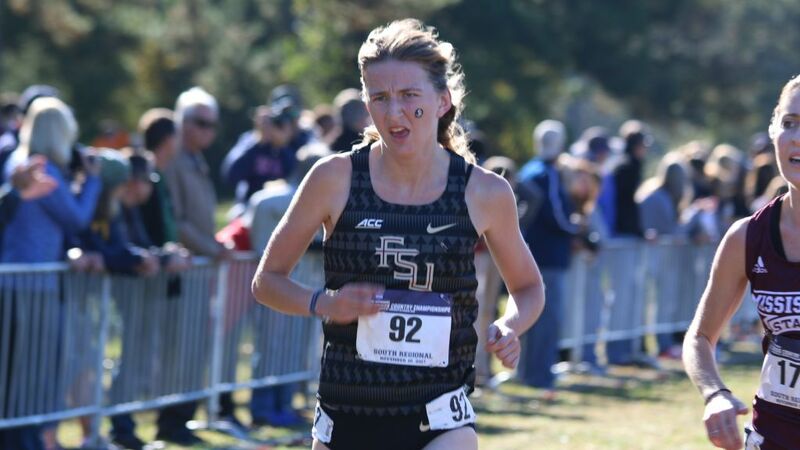 In both cases, the fourth-place finishes left the Noles women and men two spots shy of qualifying for next week’s NCAA Championships, despite arguably season-best performances from both squads. “You always hope that you do it at the right time,” FSU women’s coach Kelly Phillips said. “They just really ran for each other. It was awesome and I was so excited for them. You always want to be top-two, but that was a great day for us; three spots up from a year ago when we walked away bitter. In a significant bounce-back from their ninth-place ACC Championships finish, the Seminole women rode All-Region performances from Judd and lone senior, Emily Edwards (21st), to a 129-point total which trailed only Ole Miss (59), Georgia (73) and Samford (94) in a field of 31 scoring teams. Phillips’ squad came into the meet ranked fifth in the region. Florida State men’s coach Bob Braman had a similar takeaway after his fourth-ranked men posted a 128-point total, that trailed Middle Tennessee State (71), Ole Miss (76) and Alabama (95); three nationally-ranked teams. Hall was joined on the All-Region team by David Barney (17th) and Stanley Linton (24th). That was the mountain both teams were facing as the morning unfolded. Phillips instructed her team to get out quickly at the start of the 6,000-meter race, and collectively they complied behind Judd’s lead. Edwards, the Alabama transfer running her final collegiate cross country race on familiar soil, certainly did. While Militsa Mircheva (26th, 20:45.7) was slightly off her best, Megan Mooney (31st, 20:51.6), Forever Young (46th, 21:12.1), Addi Coggins (75th, 21:35.2) and Althea Hewitt (95th, 21:51.8) all ran the fastest 6,000-meter races of their careers. In contrast, Braman sent five of seven runners to the line who would be competing in their final collegiate races. Clearly, there was a sense of urgency from that veteran group. Hall, who had finished 32nd, 31st and 30th in his three previous South Region meets – and had never dipped below 31 minutes for 10,000 meters – minimally had his eyes on All-Region honors for the first time. Hall held steady to finish in 30:58.5 – a personal-best – and has an outside shot of qualifying individually for the NCAA Championships, if Alabama gains at at-large berth. 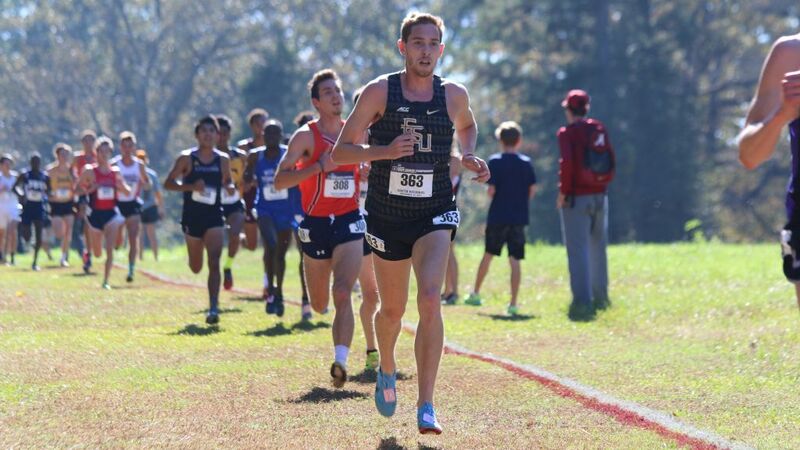 Barney, whose best finish in three Southeast Region meets for William & Mary was 45th, settled in nicely from the start and came home with a rock-solid 17th-place finish in 31:21.2. Linton, the Navy Ensign and online graduate student commuting from Iowa to meets for the Noles, turned in his finest effort of the year. 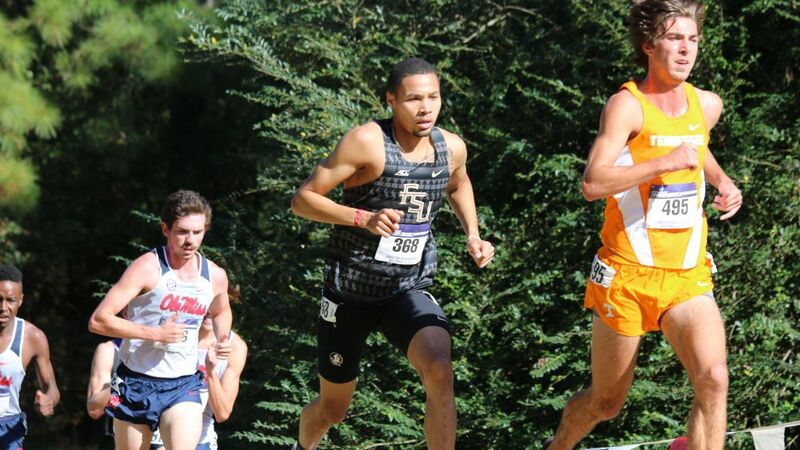 The Wakulla, Fla. native finished 24th in 31:36.9, to earn All-Region honors for the second time as a Seminole after finishing 14th in 2015, when he and his teammates won the title and advanced to the championships. “Personally, I did OK,” Linton said. I probably could have done better, but I probably could have done worse…I’ve been progressively getting better and I was happy finishing in that top 25. Junior Istvan Szogi finished 41st (32:08.9) and was followed by sophomore Steven Cross (49th, 32:14.0) to round out the scorers, after Michael Callegari pulled out past the midway point while running in the fourth spot for the Noles. Matt Magee was 97th (33:23.5) in his 10k region debut. “Today I thought we did a pretty good job and were just not quite good enough,” Braman said.